After ABC News recently paired liposuction with heart health, LipoSite.com investigated related studies and clinical trials for evidence of benefits for lipo consumers. The most common benefits of liposuction are well-known and highly documented. They include fat and cellulite reduction, better mobility and a more toned appearance. 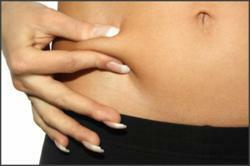 A recent ABC News report suggests that liposuction may offer benefits which “go beyond the waistline”. The article identifies a 2010 American Society of Plastic Surgeons study of 300 patients which shows evidence that post-liposuction patients gained healthy heart benefits like drops in weight, white blood cell counts and triglyceride levels. Indeed, asserts LipoSite.com, liposuction and its potential for lowering people’s risk of heart disease has been on people’s minds. LDL cholesterol and triglycerides are, in fact, both the subject of numerous clinical trials and academic studies relating them to liposuction – with results that, to date, seem to contradict one another. Miele says LipoSite.com’s goal is not to change the way people view liposuction. Yet, the site’s article does give readers a glimpse at what has thus far been proven about liposuction’s relationship to heart health. While that data may not show a direct link between liposuction and lower LDL, it shows that researchers are on to something.